It was a weekend that saw a number of young players get a shot to join the lineup for the Junior A Timbermen. Nanaimo used a number of callups for their games against Delta and Langley. On Saturday the Tmen lost 9-6 at home versus the Islanders. Will Johansen led the offense with a goal and three assists, while Thomas Vaesen had two goals and one assist. Darion Claxton made 27 saves for Nanaimo. 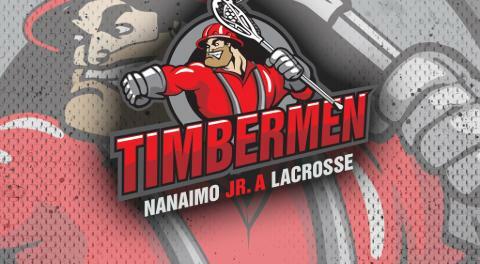 On Sunday in Langley the Timbermen lost 15-7. Colton Lidstone and Jake Mickelson led the attack with four points while Junior B callup Justin Geddie made 44 saves. Tuesday June 19 is an island rivalry game against the Victoria Shamrocks. The game will be played at the Island Savings Centre in Duncan at 7:30. The Tmen also host Coquitlam on Saturday and visit New Westminster on Sunday.